Could it be the energy we eat food in plays a deeply significant role in the nurturing affect foods can have on us. So a Loving conversation that is evolutionary would make food much more digestible? And as Otto has also shared on this post a 5 minute walk would also be beneficial. “I could feel how much it actually dulled my ability to focus, to live as a connected human being with all my senses working in their full glory.” What we deny our selves through the quality of what we eat, drink and consume is immense, a deliberate sabotage of our incredible sensitivity and awareness. Hence building this kind of relationship with our food empowers us to reclaim our knowing, integrity and self-responsibility, qualities that are deeply needed in our current age of rising illness and corrupted ways. Whether our thing to take us out, to dull us, is bananas or chips, its assessing what we are getting by being dull that is important. What do we really want when we stand before our tool to take us out? and why are we so afraid of living in our full power? So important not to live by riles of what we can and can’t eat but rather to understand why we choose to eat what we eat as you do here so well. I am very aware that when I introduce a new food for the purpose of comforting myself, that that ‘new food’ becomes a part of my diet, at least for a while. It’s like it wasn’t on my radar before but now it is. However I am also aware that as this is going on, I am still also able to drop other foods that no longer serve my body and it’s energetic requirements. As I refine my diet, I find that I substitute with slightly ‘better’ food, but energetically they are still the same. It helps me to adjust my taste buds, for example moving from sugar to honey to bananas, and you could argue that each one is more healthy than the last, but they are still offering my body a sugary substance it doesn’t need. This is a great article Carmel, as it helps to explain why we eat and what we eat. Its great to bring it back to the tension of not wanting to feel or be aware of something, rather than making it about the food. Its also valuable to just observe the effects after you eat something, rather than berating yourself. Yes, Fiona, we can be in our heads and beat ourselves up and in doing so further reduce our self worth or we can honour our bodies, observe and bring understanding to our behaviours and in that understanding, many of our food cravings will drop away. We even can eat food that doesn’t have any kick back on our body, but is still not used to nourish, but to dull or to ease tension. Just clock that, don’t ever judge and see what we are trying to dull or which tension we are trying to not feel. Very true. Simply observe and be honest about what you observe. Real and relatable Carmel, we go to food to dull ourselves and we know exactly which foods will do the trick. The question is why would we want to do this unless we know we are so much greater than we want to let the world see. I agree Alison, maybe the question is why are we afraid to be in our full power, sensing and seeing everything that is going on around us, it doesn’t make sense. I used to think that it was normal to seek particular food, to dull a particular feeling be it cosy pie and mash, snazzy sherbet, luscious scone and cream, everything is articulated, created in a certain way to offer us a sensation, dulling, stimulating etc….There are smells, feelings, memories that my body knows that start me off again with a craving an idea of a food. We say we do not know why we eat a whole pack of biscuits, some will say because I can, but there is in truth an underlying reason for the consumption of every type of food we eat. All we need to do is be honest about our feelings to unearth what the reason is….and this is something that I continue to work on and with…..to honour what I am feeling, express it and if needed clear it. So heal and clear our hurts and hang ups and hey presto….we begin to choose food that supports us more, and the deeper we can go with this, no rules, no dictation, just feeling from your body and honouring it. The ‘was it worth it?’ Question is really worth feeling and being honest about, but essentially it is the deepening the self love and actually caring about ourselves that makes those choices easier to make. Using food for any purpose other than lovingly nurturing ourselves – what are we doing? Yes the world is full of food that is in no way nurturing – there is an abundance of those – it’s good to take a look and question why we consume them at all. If they aren’t to support us they have to be to harm us, regardless of how ‘fun’ they are presented as. I agree, Ariana, food is offered as a ‘treat’ or for a ‘reward’ like chocolates and alcohol for example, but neither of those are what the body would actually love, it is just clever marketing from manufacturers and our fickle minds that allow ourselves to be persuaded. When we make it about eating disorders and that the food is the problem we are missing out on so much wisdom as why we eat what we are avoiding and so on. We very much hold the belief that it is the taste in foods that get us but as you unravel here it is not that what we taste after all but the effect this food has on our body and all in all state of being. The taste is the tangible factor but it is the energetic part that is the actual drive behind our motivation. Love your honesty Carmel. It is only through actually trying stuff, feeling the effect and then making a choice for oneself as to whether that effect is something we are OK with, or would rather not experience again, that we actually can make choices that have a foundation – by which I mean, choices that will stick. In a world where we are told to disconnect and dismiss any sensitivity we feel and have it makes sense that we have bodies that are in disarray and disharmony as well. The more I let myself feel it and embrace it as a part of who I am I can feel that I don’t need anything to receive me from my day. What’s more interesting to me is that if I control the food, and make it look really good I will find ways through emotions and reactions to achieve the same result without the food. It can be foods we crush for to release a tension, but the same effect is caused by called in thoughts that are the same indulgence like foods. The relief of any tension we don´t want to feel, may it be to stay in the grandness that we are at that moment, or to not feel, what energy we allowed in and causes disruption in our whole system and body- no matter what we eat or drink feels like a relaxation as it numbs the tension beforehand. But our body cannot be manipulated like that. It has to cope with the seemingly false calming down we allow, because we simply arrogantly can. Nothing is removed regardless of how much we eat or what thoughts we indulge in, it is always there, our bodies feel everything all of the time. The only thing that changes is our awareness, which gets dulled and provides us with a false sense of comfort. The tension is always there. I know very well the addictive part of me that goes on the hunt of something and when I can’t find that something come up with another alternative that gives me the same relief. The thing is the relief is only so temporary if at all and the feeling it leaves me with afterwards lasts for ages. It is ridiculous that it takes us so long to learn when we could chose differently in a moment. I can be very addictive and calculating in what and how I eat to dull my awareness. I’ve noticed a constant tension because I’m just not saying yes to feeling everything: how the world is without being sugar coated, how I am – so if I’m grumpy how horrible that is for those around me, protecting old hurts and fearing old fears. Surrendering to feeling it all, trusting I will still be intact at the end of it and going gently is how the compulsion that can consume me dissolves. 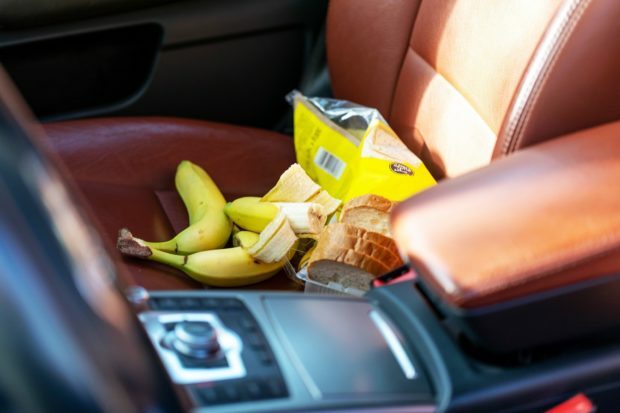 I liked the part about sitting in the workshop and thinking about the bananas and bread in your car, like a tasty treat that was waiting for you at the end. I do this too, fantasise about the meals and the certain foods I am going to prepare, which for me is often a sign that I am not very comfortable in the space that I am in, or even just with myself. What I have found is that when I am experiencing an emotional tension, then I want to eat stimulating foods in order to make my body feel equally tense and hence close the gap between the two. The real healing comes when I am able to accept responsibility for creating the emotional tension in the first place and learn to sit with it, feel it, nominate it and then move on. The usual ensuing need for the stimulants tends to naturally dissipate. When all illegal and legal drugs will be eliminated from one´s diet and lifestyle food will still be available to reduce our quality of presence and therefore the willingness to act responsibly in the overall sense and context, hence the need to very individually master one´s food and eating choices for the sustainable well-being of oneself and those we are in connection with. We need to give the body the food it needs to be healthy, but we also need to give ourselves the food that allows us to be emotionally and mentally sound and well. The foods that we are told we need to be healthy are completely different to those that we actually need to be healthy. We are told to eat foods from so many different food groups, of varying colours, in specific quantities and cooked and prepared in specific ways. Serge Benhayon is the only person that I have ever heard address the fact that the energetic quality in which we shop, store the food, cook the food and eat the food has more bearing on our bodies than the food itself. True, Alexis, when I look at dietary guidelines I shudder, they seem to be more interested in pandering to people’s existing tastes and preferences rather than what the body actually needs, rather like the doctors saying that alcohol on moderation is OK when it is clearly a poison and not at all what we should be drinking in any amounts. Take a look at THAT SUGAR FILM to see how unhealthy some ‘healthy’ foods are. The lesson being that we have to discern for ourselves, because the packaging sure-as-hell isn’t telling the truth! Many say they wanna know but only a few want to be really aware. To know is an owning without necessarily an action or consequence to follow, with awareness always comes the call for responsibility to respond accordingly. Eating for emotional reasons, for easing the tension always means to reduce our awareness and thus delaying the action that otherwise would be naturally following. Knowing ourselves deeply and what we are feeling is a great key to allowing our expression to be what it is .Just saying what the body feels to say often changes how we feel about food, what, when and how we eat. So often we eat to relieve tension in the body. Something I am learning, Gill, is that we cannot judge people from our heads, for all that does is provoke a reaction and no evolution, we need to feel our bodies and speak the truth of what we feel, and then the tension goes away and we didn’t need to eat anything to numb it. ‘Expression is everything’ is a phrase that often comes to mind. Healthy or unhealthy addiction is addiction. I have been addicted to lentil protein crackers lately and some might say gosh but thats healthy! However I can feel the energy of addiction to these which isn’t. Any addiction we have to something is simply an energy that is taking us further away from ourselves and just not worth it. One I am still in the process of learning. I have noticed how when i feel tired, I reach for sugar but usually end up crashing much lower and feeling much more tired than before. Yes, I too have noticed that very often when I am tired and eat to fuel myself I end up more tired. However, if instead of spending 10 mins snacking, I have 10 or ever 5 min rest and reconnection to myself I get recharged. A great little reminder Nicola. Thank you. It’would be an ace fridge magnet! Another thing that I find recharges is a purposeful walk – with a committed stride! It can also depend on what is causing the tiredness. Quite often I can get a bit tired or drained if I have absorbed stresses from the day and in those cases a few moments of stillness and to come back to myself are very nourishing, whereas eating something can actually take me further away so there might be a short calorie hit followed by a further drop in energy. Simple banana and egg white pancakes are so yummy and should be placed on the dangerous food list as one is never enough and in the days where maple syrup was not to sweet and sugary for me to eat that would definitely have to go to the foods that distract us from being connected, maybe we should just have a blanket ban on all yummy foods? But that would not work because as we modify our way of eating to adjust to our Livingness and thus what the body is telling us it needs all foods become yummier!!! We are all so deeply invested into food and eating. It is great to unravel what is truly behind our addictions and how our spirit plays an important role in keeping us in the same loop instead of supporting us in our evolution. I love how you keep it all real Carmel, if we all get as honest about what we eat and why we eat it , it would be evolutionary. Evolutionary for all as this is the quality we would bring to others. It is an important observation: “I used food and alcohol to dull my feelings because a lot of things upset me and eating seemed to calm me down, so I did that a lot”. Often when we realize a change is required, we target the end behavior, however it is much wiser to consider the underlying issues which led to an adoption of the behavior as a solution. ‘it is much wiser to consider the underlying issues which led to an adoption of the behaviour as a solution.’ I agree, Golnaz, the deeper we can dig to deal with the underlying issues, the eventual behaviour no longer has a cause and is no longer an issue. It is great to become scientists of our own bodies…to what what we eat, how we eat it (and prepare it) and what effects it has. We are being true Students of The Livingness when we are constantly refining what we eat and how we live and feeling what works and what doesn’t. Here here Sarah – I so agree. When you see reported in the news and in magazines so much conflicting advice and studies in the end it is up to us to learn, and discern what works for us and what doesn’t with no perfection and no rules either. I know that the more I focus on the quality within my body, the more it supports me to choose foods that keep me feeling bright eyed and bushy tailed. The process has enabled me to transform my eating habits from a high sugar intake to a zero sugar, gluten and dairy free diet quite smoothly and every cell in my body loves me for it. I wonder if food choices are an outplay of something else that happened beforehand. It is useful to have some discipline but to try to stop a behaviour without dealing with the underlying cause may just transfer the underlying need on to another food or behaviour. Yes very true – definitely need to look at underlying factors or will recreate elsewhere, but can also sometimes attend to behaviour at the same time if they are reinforcing each other. I agree. I was a ‘chocoholic’ many years ago, couldn’t go a few hours without more chocolate. And chocolate has highs and lows, ups and downs, and one day I realised how much of a rollercoaster effect the chocolate was having. So I asked myself why it was I needed so much chocolate… and realised I was utterly exhausted, and the chocolate was what gave me enough ooomph to get through my day though I needed to increase the amount some days as I was so tired. So I started to look at why I got so tired, and why I was so exhausted – and in observing that for quite some time I began to understand. I didnt give up chocolate while I was observing, and one day I realised I just didnt buy chocolate any more… only by looking at what was going on did I get to a place where I didnt by any more chocolate. It always comes back to was it worth it, worth the fogginess, lack of connection. I have very much gone for foods for relief this week, they don’t even do that much for me taste wise anymore but it is what it is and then we move on. I know that one Vanessa, I’m suffering from the second sinus issue for this year and know that some of the foods I have allowed back into my diet are not helping the situation. Time for a food review. Like you say ‘Is it worth it’. A lot of food is chosen and indeed designed and manufactured for taste regardless of their nutritional content. It is as if our original sense of taste has been bastardised to love the things that we know are ‘bad’ for us like sugary sweets for example. or that absolute killer combination of salty and sweet. Oh the addictive pull of salted caramel!!! Its interesting how we learn to rely on food to deal with how we feel, rather than things that do actually support us rather than suppress a feeling, like a walk, opening up to someone about how we feel, a session, maybe some quiet time in a bath or breathing gently. I agree. I used to use food purposely – for uppers when I was tired like tea and chocolate and cake, and when I couldn’t sleep I’d use heavy carbs like curries and rice to put me to sleep at night. Whether we choose to realise or be aware of it or not, we are masters at knowing what foods to eat that are not necessarily great for nutrition but the food obviously gives us something (e.g. makes us racy or dulled) otherwise we wouldn’t choose it. Something as simple as looking at the deeper reasons behind our food choices can lead us to great understandings about ourselves. and also feeling heaps better and fitter! Understanding why we may want to comfort eat and being aware of how certain foods affect our body is really supportive in making healthier choices. I just love this blog Carmel and can relate to it a lot. Much of my time of reading this blog was done so with a smile on my face. Love the humour and playful curiosity imbedded in your writing as you unfold and have a willingness to go deeper. Agree, we all do know the games we play, (however much we say we do not), concerning our habits and food. I love this light exploration of how we can go deeper with understanding our habits. Our spirit knows exactly what foods to eat to dull down our awareness simply to avoid evolving and our body will always reveal the truth of our choices. Our body is the marker of truth, it never lies – all we have to do is listen before it shouts too loud.